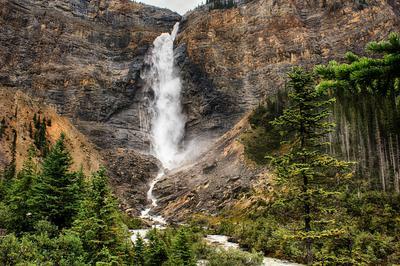 Having just returned from an extensive photographic tour of British Columbia and Alberta in Canada, and Montana and Wyoming in USA, we have a large collection of spectacular waterfalls. Top of my list are the Takkakaw Falls in the Yoho National Park near Field, BC. These are glacier fed and are the second highest falls in Canada. It is difficult to grasp the scale in a still photo, a video gives a much better impression. Near the base of the falls is an icy wind due to the displacement of air by the near freezing water. 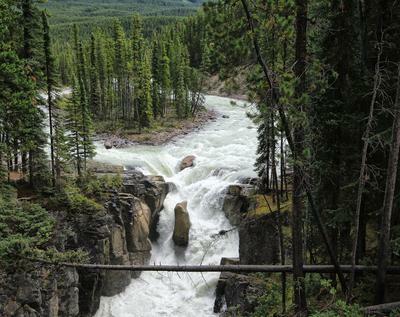 The Athabasca and Sunwaptu Falls in Alberta are of much smaller scale, but are also impressive. 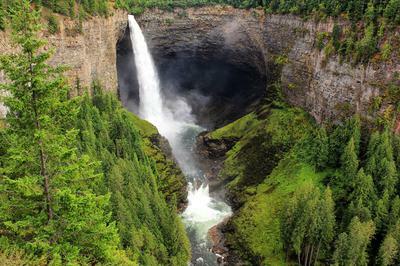 Finally, I have also included the Helmcken Falls in the Wells Gray Provincial Park north of Clearwater, BC. 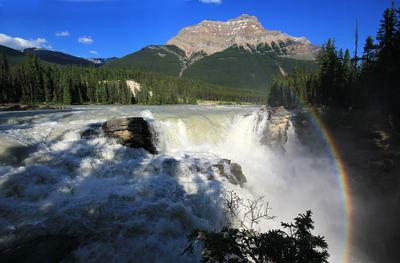 These are the fourth highest falls in Canada.